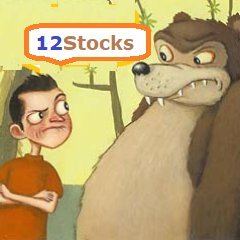 "Discover best trending smallcap stocks with 12Stocks.com." Sort Small Cap stocks: Daily, Weekly, Year-to-Date, Market Cap & Trends. On this page, you will find the most comprehensive analysis of smallcap stocks and ETFs - from latest trends to performances to charts - for investing & trading. Explore! April 21, 2019 - Although long and mid term trends for Small Cap index looks good, the short term trends are deteriorating. The overall Smart Investing & Trading Score is 51 (0-bearish to 100-bullish) which puts Small Cap index in short term neutral trend. The Smart Investing & Trading Score from previous trading session is 58 and hence a deterioration of trend. The following table helps investors and traders sort through current performance and trends (as measured by Smart Investing & Trading Score) of various stocks in the Smallcap Index. SmallCap segment as represented by IWM, an exchange-traded fund [ETF], holds basket of thousands of smallcap stocks from across all major sectors of the US stock market. Hot Small Cap Stocks of 2019 We try to spot trends by analyzing the performances of various stocks or components within Small Cap Index and try to find best performing stocks. The movers and shakers. The winners and losers. The following table shows list of key exchange traded funds (ETF) that help investors track Smallcap index. The following list also includes leveraged ETF funds that track twice or thrice the daily returns of Smallcap indices. Short or inverse ETF funds move in the opposite direction to the index they track and are useful during market pullbacks or during bear markets. We now take in-depth look at all SmallCap stocks including charts, multi-period performances and overall trends (as measured by Smart Investing & Trading Score). One can sort SmallCap stocks (click link to choose) by Daily, Weekly and by Year-to-Date performances. Also, one can sort by size of the company or by market capitalization. OFED Oconee Federal Financial Corp.
NWY New York & Company, Inc.
GMRE Global Medical REIT, Inc.
JAX J. Alexanders Holdings, Inc.